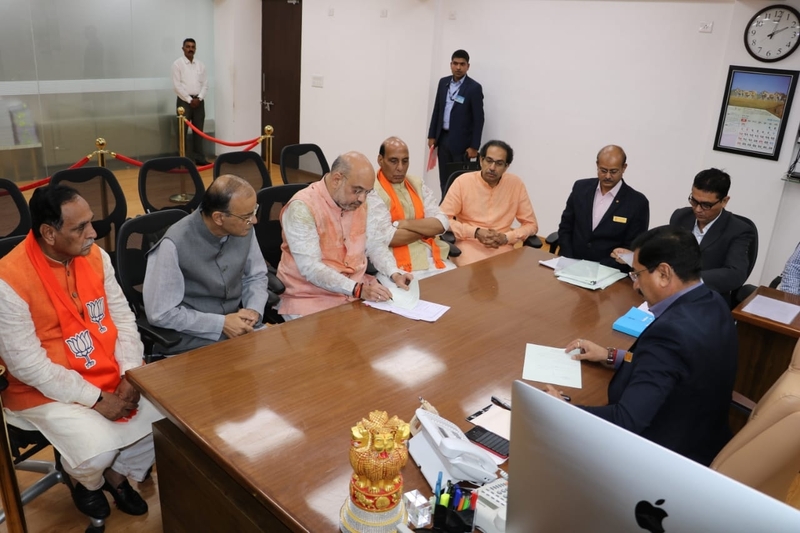 BJP President Amit Shah filed his nomination papers for the Gandhinagar Lok Sabha constituency on Saturday in the presence of Union Ministers Arun Jaitley and Rajnath Singh and Shiv Sena chief Uddhav Thackeray. Shah, currently a member of Rajya Sabha, will be contesting parliamentary elections for the first time. The Gandhinagar seat is currently held by BJP leader LK Advani. Amit Shah contesting Gandhinagar is seen as the end of the road for LK Advani, who held the seat for six terms. Mr. Advani, who has been upset ever since he was replaced, was not present at today's road show. Before filling the nomination, shah addressed an election rally, followed by road show.